Available in all sizes, shapes and styles – It’s so easy to heat with a Gas Fireplace. You’ll love them for their beauty, high energy efficiency, temperature controls, and ease of operation – all good reasons to buy a Gas burning Fireplace from Pacific Energy Company. 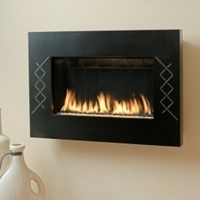 We love Valor gas fireplaces for their ease of use, variety of size & styles, from Victorian to traditional to modern. You’ll love the included remote control for flame & heat adjustment from you arm chair and built in thermostat with twice a day timer. Planning to hang Art or a TV above the fire? – Valor’s Heat Shift System will save your precious art or TV from heat damage. A new Valor gas fireplace will enhance your home with warm and beautiful style. See the choices of log sets and fire media here. 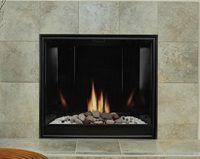 Town & Country Luxury Fireplaces revolutionized the industry in 2003 with introduction of the first clean face gas fireplace – redefining consumer expectations. This decorator fireplace is truly a fireplace for all seasons, utilizing direct vent technology with electronic ignition T&C gives you the look of a big fire, while controlling heat output, letting you use your fireplace year round. This luxury line of gas fireplaces is worth the purchase – no other gas fireplace presents the look of a wood burning fire so realistically . See Town & Country Luxury Fireplace Videos here. Designed for visual performance, The Architectural Series features a dramatic flame powered by 16,000 BTUs per foot combined with a custom firebox airflow control system to allow fine art or the ultimate TV to hang directly above the viewing area. Narrow depth cool touch glass makes the flame the focal point while loadbearing construction offers the interior designer complete flexibility. Configuration length: 3ft to 8ft, Full color spectrum LED light system, Cool Touch Glass and more. Founded in 1901, Johnson Gas has been building a tradition of quality you can see in every Mendota gas fireplace. Mendota is well known for having the best looking log set and realistic flame on the market. With their great variety of fronts in a variety of quality metal finishes, there is a Mendota Gas Fireplace to fit every decor. 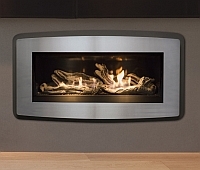 Mendota offers special controls to turn off the rear burner to reduce heat while providing a full flame picture. 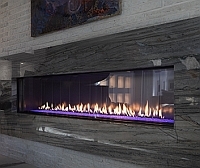 Your home deserves a Mendota – the most beautiful heater rated gas fireplace in the world. 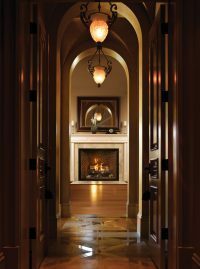 Start something beautiful…sacrificing style for warmth is a thing of the past – Astria gas fireplaces are offered in a wide variety of venting options and styles. From traditional to contemporary there is an Astria gas fireplace to reflect your personal style and bring warmth to your home. See Astria traditional fireplace videos here. 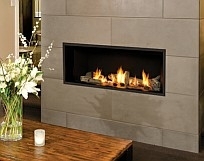 See Astria modern fireplace videos here. 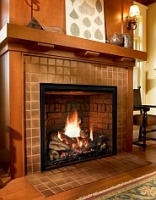 The Marquis line gives you a great variety of fireplace sizes and styles to fit your home. From the Serenity, specifically designed for the kitchen, bedroom or bath to the large 42 inch Solace, you can have a rock or log burner, a clean face or louvers, and a grand variety of specialty surrounds from which to choose the fireplace of your dreams. The Marquis line is priced to sell at very reasonable prices for such an excellent product. 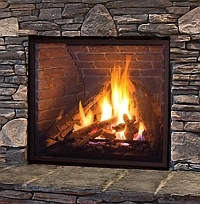 White Mountain Hearth built its reputation on quality, service and delivery – with fireplace products that add warmth and value to any home. Large, deep, linear or just unique – their designer direct-vent fireplaces create the perfect look on scale that’s ideal for your perfect home. Empire’s TruFlame Technology ensures maximum flames and ember glow with minimum emissions. The system starts with independently controlled front and rear burners set in a large ember bed. The burners create a tall lively fire that dances and curls around the hand-painted ceramic fiber logs – generating a continuous tableau of flame shapes and light patterns. 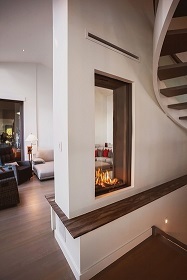 Whatever your design aesthetic or style, you’ll find the perfect modern gas fireplace at European Home. Whether you’re looking for sleek materials, such as brushed stainless, or a unique multi-sided unit for that special room, European Home offers a complete line of modern indoor and outdoor gas fireplaces. 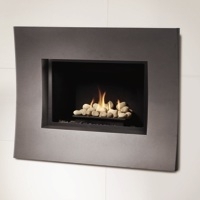 Solas fireplaces is the latest in innovation when it comes to gas fireplaces. Featuring two different styles, this is a wall mount, heater rated, direct vent fireplace with battery operated pilot from a remote control. The glass front metal surrounds come plain or with unique design patterns in a variety of metal and colored finishes. This unique fireplace provides for an easy out the back and through the wall installation or a vertical through the roof venting. It also features a special corner installation kit option. With contemporary looks, easy installation, and great style, we are sure this fireplace will become a new leader in the fireplace market. Experience the ultimate in comfort and warmth with the Pacific Energy Ltd. Gas Collection. Superbly engineered for performance and efficiency, the Pacific Energy gas collection has a perfect solution for your new home construction, renovation, or transformation of an existing masonry fireplace. Each fireplace utilizes large aluminum heat exchangers for maximum heat and energy efficiency. A one-touch programmable remote controls provides quick, easy control over heat for added energy savings. Even at the lowest settings, flames are appealingly rich and full to gently warm the room. Superior quality and attention to detail have provided Sherwood Industries (Enviro) with a competitive advantage. Sherwood Industries is recognized in the industry as having one of the most stringent quality standards. They are located in Saanichton (approximately 16km north of Victoria) on Vancouver Island in British Columbia. Sherwood Industries has an extensive manufacturing facility where they employ cutting edge technologies such as CAD (computer aided design) and a state of the art steel cutting laser, all designed to give you the best design for your home with the highest standards of engineering.